At the weekend the Bradshaw family took their first trip outside of Britain for 4 years. It was only a day trip to Paris but was a well needed day out, made even better by the bright sunshine. That being said it did serve to highlight our collective need to invest in some new sunglasses before the fabulous British summer hits. Now our question is – can we buy British made shades for the whole family? Rather unusually these guys design their glasses in Holland but actually manufacture them in the UK. They hand make funky retro-inspired designs that look rather striking. However, if you baulk at the £300 price tag for a pair of ‘Fan’s’ I am afraid that things, from a price perspective, are not going to get much better as you work your way through the rest of this list. Is a British brand that is a sister company of the ill-fated camera manufacturer. Their frames are actually made abroad but they appear on this list because they are the only British based sunglasses lenses manufacturer. With prices from around £50 they are well priced and have a great range. You can also find them on the high street. Occles – achieve a line free tan! 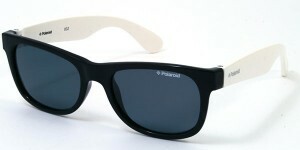 A bit of a wild card perhaps but Occles make blackout sunglasses here in the UK. What are blackout sunglasses you ask? 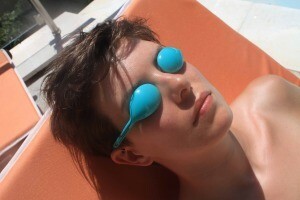 Well, basically they block the sun completely while sunbathing while allowing you to tan without the usual white lines traditional sunnies might make. If that is your thing then a pair of Occles will set you back just £22… bargain… but you might get some odd looks on the beach. Edward Gucewicz makes a single style of sunglasses out of buffalo horn. They are pretty great looking and I would love a pair but at nearly £700 they have a very specific audience (which does not include me). If you are looking for a well priced (around £150), fashionable and British made pair of sunglasses our winner might be Banton Frame Works. With a nice range of glasses to choose from these could be an option for us. If you want to look like your favourite film star Premiere Optica have the specs for you. However, they even offer the option to design your own. Made from a cellulose acetate derived from cotton pulp, Tender produce a single style of sunglasses in an retro 1950’s design. They admittedly look pretty good but at £445 they may price many out of the market. Be in good company with C.W Dixey. Established in 1777, C.W. Dixey & Son claim to be the oldest independent eyewear company in the world. 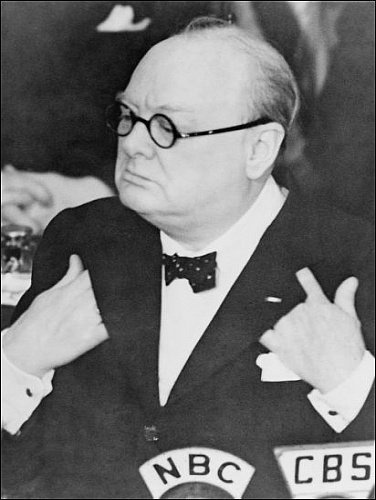 While not strictly producing sunglasses they produce a variety of frames which also benefit for the patronage of Sir Winson Churchill. It is fair to say that their collection is likely to jar with some modern tastes but I would not mind a pair in the slightest. There you have it – a pretty comprehensive rundown of the options open to you if you are looking to buy British shades this summer. If you have any experience with the brands above or know of any other British made sunglasses please comment below. Did you look at Sunwise? They produce sports sunglasses. I believe they are a British company, designed here and assembled here, but the parts made overseas. I’d be interested to know if ‘assembled’ ticks some boxes in your ‘made in Britain’ passion. Hi Teresa – We made contact with Sunwise and they confirmed that they were only assembled in the UK. It is a fine line between assembly and manufacture. There are no hard or fast rules over the difference and I suppose it needs to be assessed on a case by case basis. I would say that if there is a material change in the product in the UK then that is manufacture. Sunwise, I feel, do not meet this criteria but they are still great products. It is tricky isn’t it, not always black and white. As you know my company only sells made in Britain products and we have been tempted with Sunwise, but feel the same as you, just not quite enough done here. Thanks for taking the time to reply. If you are looking to stock sports glasses I would consider Polaroid. Yes, the frames are not made here but the lenses are. That is very specialist manufacturing that needs supporting. As ever if you know of any other sports related products, please do share them! More to the point, how much British produce did you see in Parisian supermarkets? Cheddar cheese? Malvern Water? British apples? My London supermarket is overflowing with French stuff. Is this one of the benefits of EU ,membership? That is likely a good point. I imagine that the number of British produced food stuffs in continental supermarkets is likely to be far less than the foreign equivalent in ours. The French and the Italians in particular seem to have far more respect for domestic production than we historically have. I bought a pair of Polaroid Sunmate sunglasses in Switzerland in February, only for them to literally fall apart just a few weeks later. On the plus side, after tracking down the appropriate contact, I was able to get them replaced free of charge (without a receipt, too!). Excellent customer service, even if slightly dubious product quality. There’s a bit more information about Polaroid on my site. As their lenses are made all over the world it will be hard to tell if you are actually getting UK made lenses in your glasses I guess and as you say the frames are foreign made. C.W. Dixey frames are all made in France, although they can offer bespoke glasses that would be made in England. Teresa, above, would be interested in what I write about Polaroid and will find some more British made sports goods on my site too. Congratulations on your site. It is a fantastic resource. How on earth did you miss Sporting Hares? British countryside icons and, I believe, the only brand offering custom material wooden sunglasses. Good find! Never heard of them before but very good value.